Summer eating--there’s nothing like it, endless barbeques and delicious ice cream cones made with only the best local dairy. With all of the temptation, I also know that it’s especially important to maintain a nice balance of healthy eating. 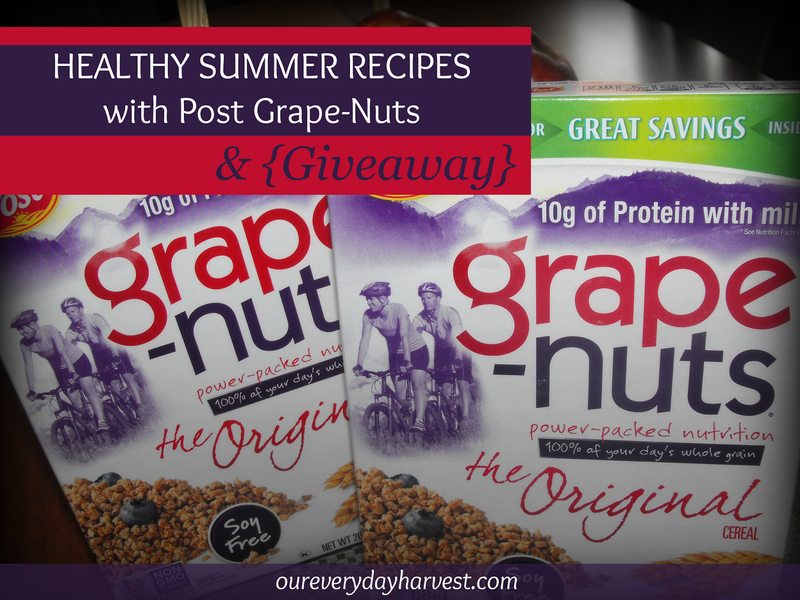 When I recently discovered that Post had released a collection of new summer recipes using Original Grape-Nuts cereal, I was pretty excited. 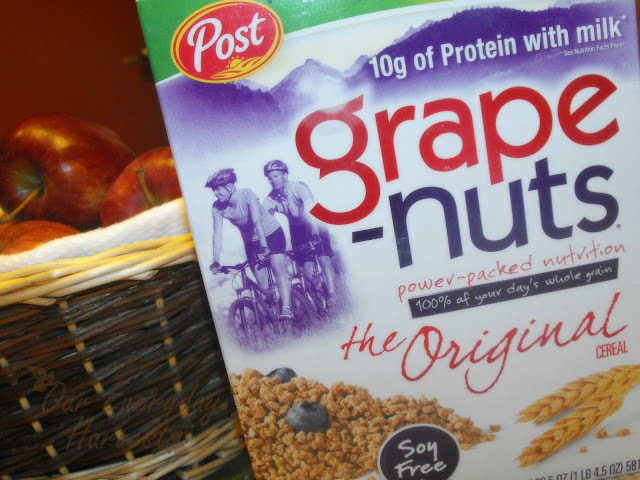 You see, I’ve always been a fan of Grape-Nuts and the delicious nutty taste that it offers. Back when I was younger, I remember enjoying a nice bowl with some warm milk on a cold winter’s day. I've now come to realize how versatile this cereal really is. Grape-Nuts can be used to make so many recipes, including some that would be perfect for summer entertaining. I bet these Stuffed Tomatoes, coupled with pine nuts, black olives, and fresh basil would be quite the appetizing starter. If you’re looking for a healthy entrée idea, why not opt for making this savory Turkey Meatballs with Zucchini ‘Noodles’ and Pesto dish? Of course, what summer gathering would be complete without a delicious spinach dip! This recipe for Cauliflower Tots is one that really caught my eye. I just knew that I had to try it. Not only were they so easy to make, but they’re incredibly tasty and had the perfect level of crunch to them. Needless to say, my family was not disappointed. My toddler enjoyed them so much, he couldn’t stop eating them up. Since they're also super healthy, I would serve this option over tater tots any day! 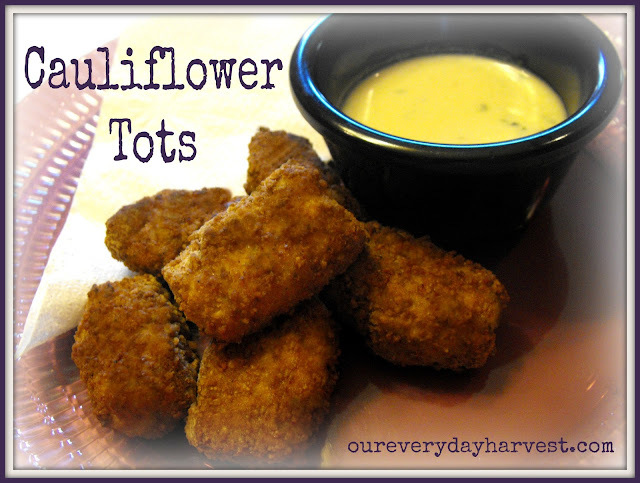 Using a 1 Tablespoon measure, scoop the cauliflower mixture and form into a “tot” shape with your hand. Carefully roll in ground Grape-Nuts mixture and place on prepared baking sheet, about 1 inch apart. Previously, I would've never thought of using Grape-Nuts as an ingredient in my summer dishes, but now I’m really looking forward to trying out some of the other healthy recipes they have to offer. If you’re also searching for nutritious dishes to help get you in the summer entertaining groove, why not check out their entire collection of recipes. Want a chance to get started on your summer recipe creations with Grape-Nuts? 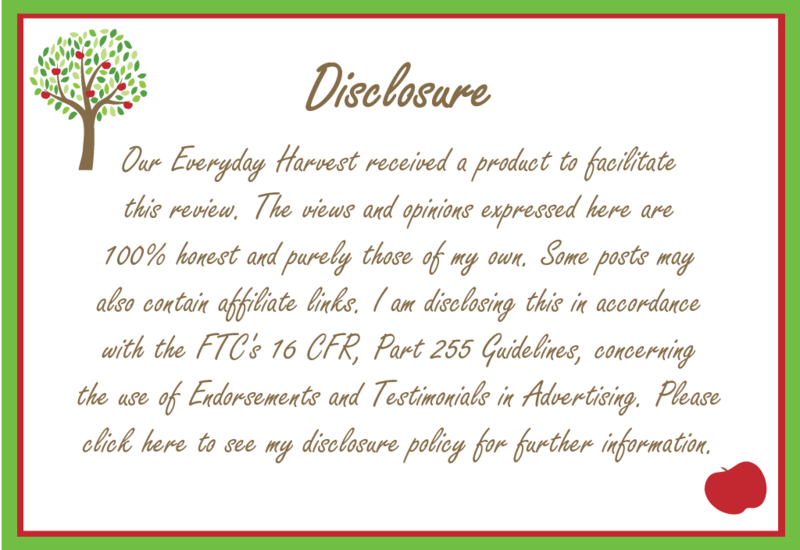 One lucky Our Everyday Harvest reader will also have the chance win a prize pack, containing three full-size boxes of Post Grape Nuts!